HomeBooksSam and Becky Are at It Again! Sam and Becky Are at It Again! This time, Sam and Becky (and Mom and Dad) are spending their vacation visiting lighthouses in North Carolina. 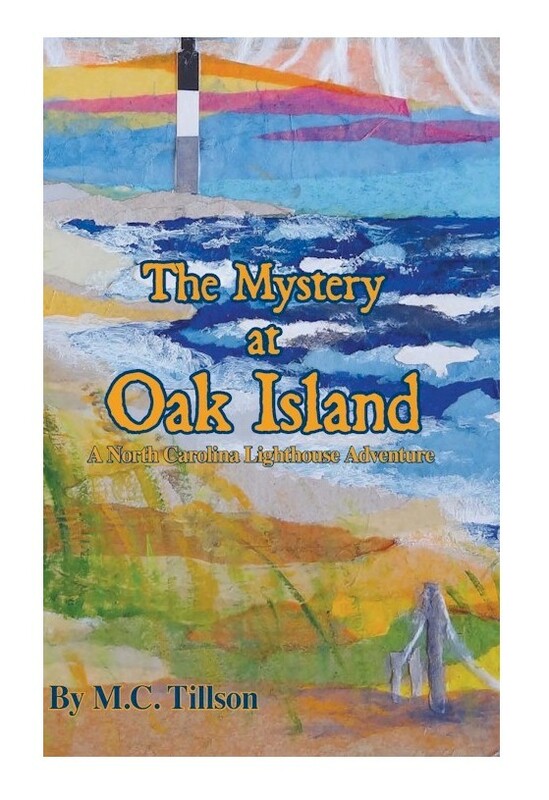 You may have seen the barber pole stripes of the beautiful Hatteras Lighthouse (on Cape Hatteras) or the distinctive diamonds of the lighthouse at Cape Lookout, but you may not be as familiar with the sturdy, no nonsense layers of the Oak Island Lighthouse. “It’s not a very pretty lighthouse,” said Sam as he and his family head toward their vacation beach house on Oak Island. Sam soon finds out that there’s more to the Oak Island Lighthouse than just how it looks–a lot more. I love writing historical fiction (“realistic fiction, Mom” my son would remind me). It’s the best of both worlds. You get to find out so many new things and you get to use your imagination to create all sorts of interesting characters and mysterious situations.